the paint by numbers are awesome!! i love all the pastel! so pretty. i love your hankie collection! i too have some pretty ones i've collected from thrift stores over the years, but i can't decide what to do with them. Ah! I love your pillow! 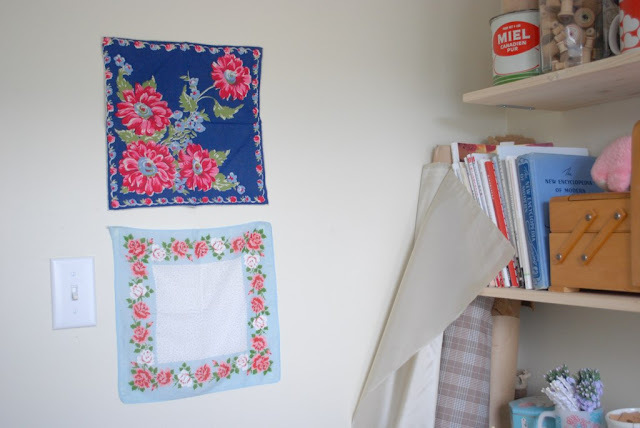 Hankies on the wall- great idea! 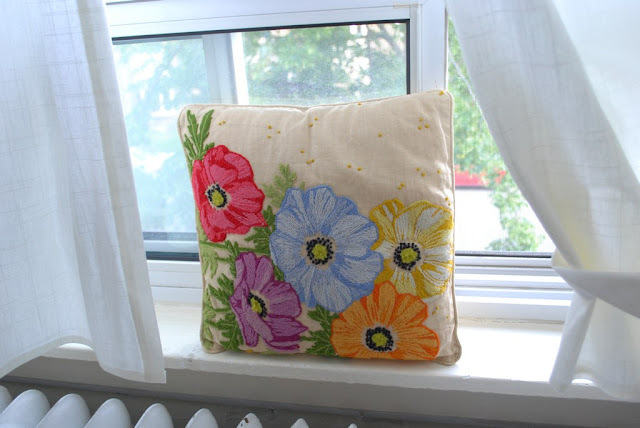 I really love the cushion too, lovely colours! what do you mean fake ones? like, already painted and brand new? i love vintage handkerchiefs and have quite a nice collection. how are you they being held up - double sided tap? Thanks, everyone! I'm glad you found something you liked in these pictures. Michelle: Wow, thanks for that! How sweet. Caitlin: I know! We're lucky to get so much light. Yeah, totally fake ones! Urban Outfitters has them right now. They're not on the website, though. Nancy: Yeah, that's right! I have lots of double sided tape around and it comes in handy (also I'm not worried about the paint in this apartment since it's not in the best shape to begin with!). what a lovely thing to collect!! love your hankie collection, anabela! ooo, the hankie display is brilliant! I always just throw the pretty ones I find in a bowl or teacup, but I love the idea of using them as wall-art! i love your home! so sweet! i want to see more pictures, especially of your workspace! 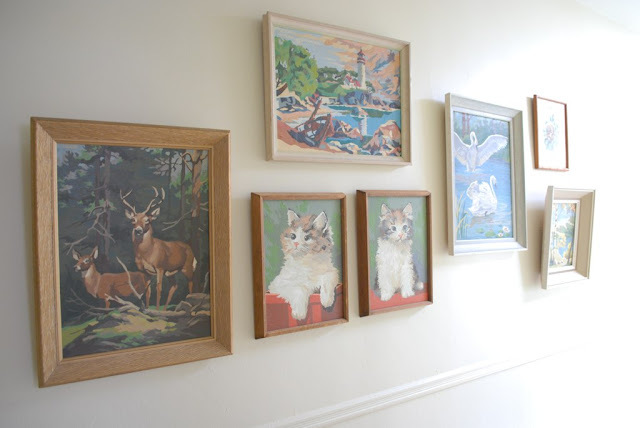 Nice art collection! I love your pillow. that pillow is so sweet! and i love your paint by numbers. are they really selling fake ones now? bizarre. oh! why not just pin the hankies to the wall? They so beautiful, but Inever know what to do with them!